The company uses predictive analytics to profile users and helps them choose the most suitable health packages for them with information on which providers offer them. Preventive early stage breast cancer screening for women has so far been largely limited to mammography. But Niramai, a Bengaluru-based artificial intelligence (AI) led diagnostic platform is now using thermal image processing and machine learning algorithms to enable accurate screening systems. And, according to the firm, hospitals have to spend just one-tenth the cost on Niramai hardware (under Rs 10 lakh) compared to mammography machines which cost around Rs 1 crore. This just just one instance of AI and data analytics-based platforms taking the healthcare sector by storm. In the case of Niramai, the costs for end-users are also much lower, at one-third that of mammography. “Our detection method is painless and contact free unlike mammography and can be applied for all age groups,” adds Dr Geetha Manjunath, CEO & CTO, Niramai. Other AI-enabled solutions have also begun to seep into the sector. Recently, pharma major Lupin launched its chatbot named ‘ANYA’, specially designed to provide medically verified information for health-related queries. At the launch Rajeev Sibal, President - IRF, Lupin noted that this was a technology that had enormous potential in medicine. “We are taking the first step to offer this AI-based chatbot for patients and health-givers and we believe this will be a game changer in the field of disease management in the future. This will also be a significant step in providing better access in rural markets as we adopt and launch digital healthcare platforms for better outreach,” he said. A Frost & Sullivan report pegs savings from AI and cognitive computing for the healthcare sector at a whopping $150 billion by 2025. “Some of the real-world benefits... are automated disease prediction, personalisation of treatment pathways, intuitive claims management, and real-time supply chain management,” the report noted, adding that these promise higher profitability for payers, providers and pharmaceutical enterprises. In India, players like Niramai, LiveHealth, SigTuple, Healthi, AddressHealth, Lybrate, and ChironX are rapidly taking gaining traction. ChironX uses AI, data science, deep learning techniques and image processing to detect diseases from medical images, and is involved in researching and finding solutions in disciplines like endocrinology, cardiovascular, neuropathy, retinal image processing, and on diseases like Alzheimer’s and Parkinson’s. Healthi, meanwhile, works in the preventive healthcare domain where it uses such technology to provide users personalised and comprehensive preventive health check-ups. “As opposed to hospital care, out-patient care and followup is not done properly in this country. 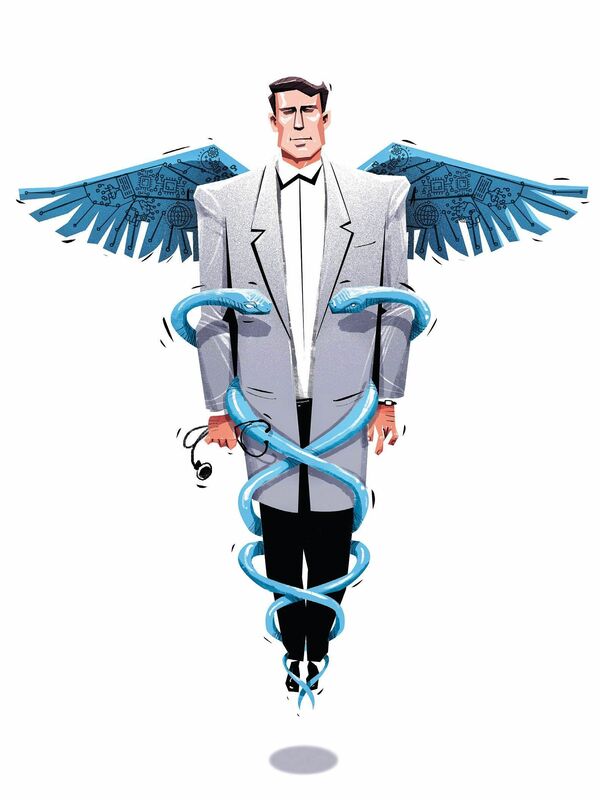 67 per cent of patients do not comply with doctors’ suggestions,” says Rekuram Varadharaj cofounder and COO, Healthi. The company uses predictive analytics to profile users and helps them choose the most suitable health packages for them with information on which providers offer them.